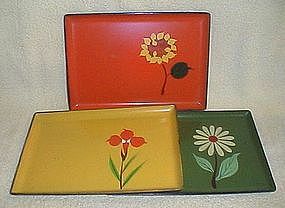 Plastic 1960's Art Deco snack trays, light wear, orange tray has some light scratches. Great display pieces for your groovy pad. Measures approximately 7 1/2" x 5 1/2".